Vintage floral designs in a bedroom makes the space more elegant and feminine. I found this image on Tumblr a couple of days ago and a I fell in love. The room is filled with decorations that are very rustic. I love the french inspired theme in the room with the vintage floral paintings and refurbished furniture. To recreate some of the aspects of this look, found some great inexpensive vintage floral design decor to decorate your bedroom with. This is a great bed set to add the vintage touch to your bedroom. If you don’t like bright colors like I do, this will be a perfect edition to your bedroom. The sham and the duvet cover is made of 100% cotton. The bedroom set items can be purchased separately. The duvet cover comes in Twin, King, Queen sizes. The prices vary according to the size. The bigger the sizes, the larger the cost. You purchase the duvet insert on PB Teen as well (see the link for details). I love duvet cover inserts because you can create a really comfortable comforter by adding a plush insert. The sham comes in euro and standard sizes. When I found this picture on Etsy I thought this would be a perfect image for my bedroom. It was also be a very nice edition to a vintage inspired bedroom. This picture is 20″ by 25″ and contain painted watercolor flowers. 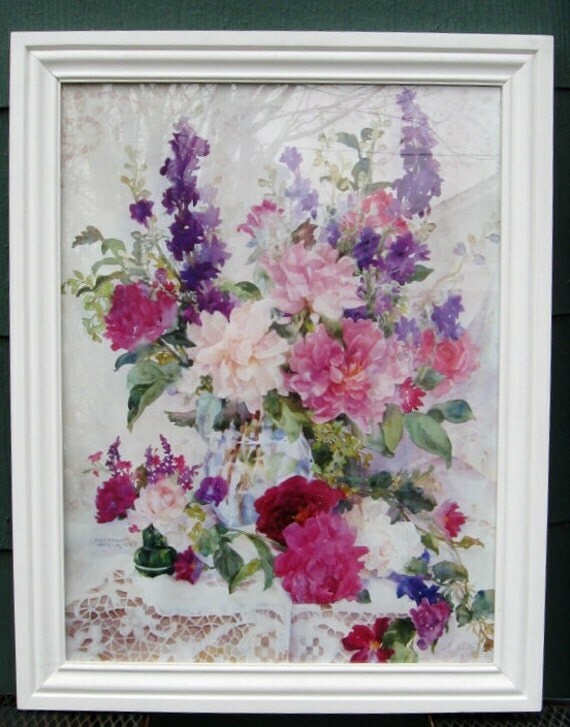 ByTheShoreVintage has other great watercolor floral paintings you will absolutely love. Painted Cottage has a number of different vintage rustic inspired furniture. You should definitely check them out if you interested in purchasing vintage styled furniture. 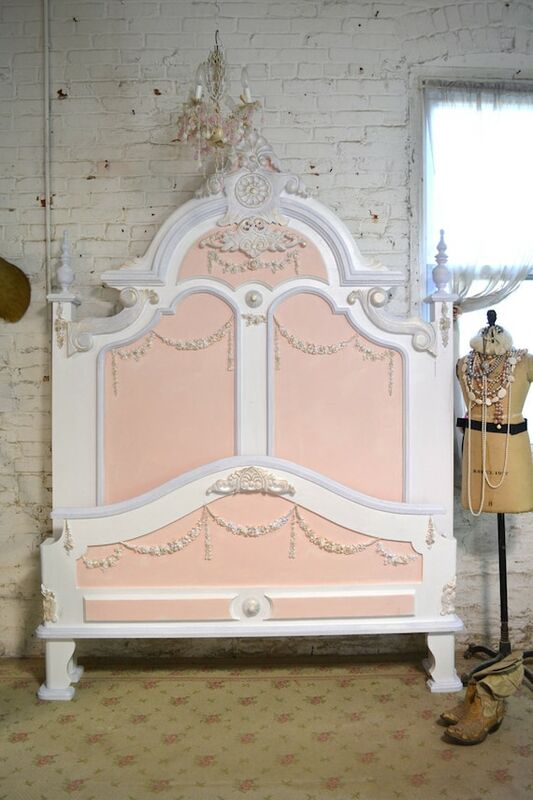 I love this bed because it is so feminine and pink ♥ The Marie Antoinette Romantic bed comes in queen and king sizes.